Check back. I’ll add more over time. This medallion is 96″ square. It uses simple units including hourglasses, half-square triangles, and two-patches. It would fit well on a queen-sized bed, or more than cover the top of a king-sized bed. 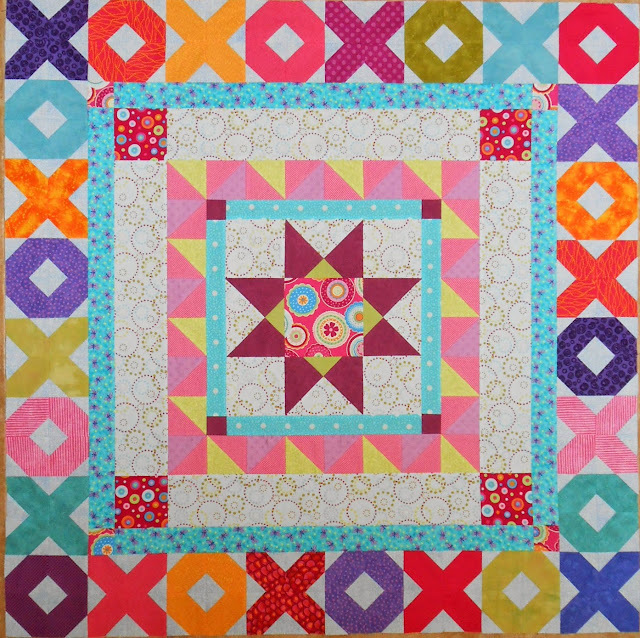 At 48″ square, this medallion is the perfect size for a baby quilt or anyone’s lap quilt. Want different colors? Want a different outer border? Personalize it to suit your own taste. This great little quilt can be done in only four fabrics, or take on a differently personality with scraps. It’s 54″ square, though you could enlarge it with more blocks. Cutting and assembly directions included. Who knew this interesting block could be even more fun when paired with alternate blocks? The secondary designs you can create are limitless. Here are 17 new ideas for how to use them.